We have Michigan trained and professional Phlebotomists at Westland Medical Clinics performing Phlebotomy Diagnostics Testing. Phlebotomy is simply to make an incision in a vein with a needle. The actual procedure is called venipuncture. This is an invasive procedure due to the incision made through the body by a cut or puncture. 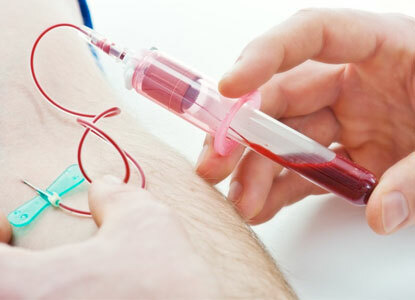 Phlebotomy is performed by a trained and certified Phlebotomist, these professionals must use mastery principles and techniques by the Clinical and Laboratory Standards Institute (CLSI). The main role of a phlebotomist is to obtain blood samples for diagnostic testing. Phlebotomists in Detroit Michigan medical clinics can also be responsible for removing blood from donors for blood transfusions and removing blood from patients with a condition of too many red blood cells and thick blood. Phlebotomists also collect and package urine samples, incoming specimens and deliver them to the correct diagnostic department or laboratory. Our trained Phlebotomists in Southeast Michigan at Westland Medical Clinic take blood specimens for many different kinds of diagnostic testing. With our professionally trained staff, you will always know you’re getting the best care. Please contact us for any of your Phlebotomy diagnostic testing questions.